Many Allwinner devices can be booted using a single common SD card image, which can be potentially used to install the rest of the Linux system on a device without any assistance from the desktop PC. In a completely desktop PC free scenario, such an SD card can be, for example, received by snail mail from the device vendor. 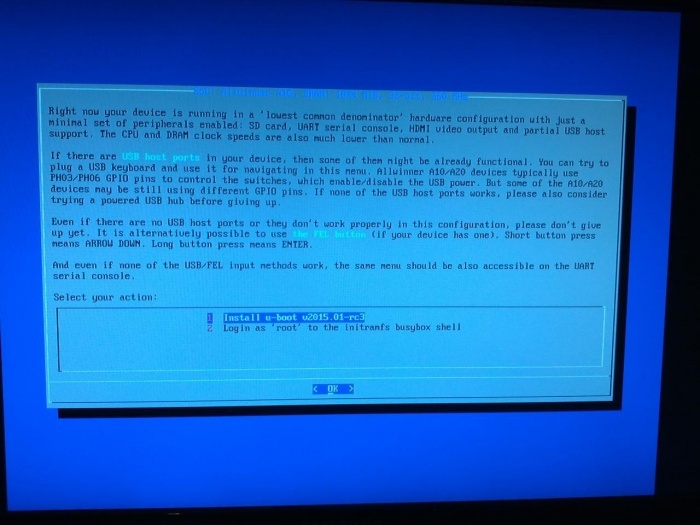 If you have a HDMI monitor, then something like this should show up on it when booting from the SD card. The menu caption should display some information about the hardware. This page was last modified on 23 January 2015, at 20:44.